Powered by a 4.0L LM-AR7 V8, pushing down 620+ hp, 370+ lb-ft of torque, and tipping the scales at 900kg / 1984.2lbs (as per regulation). This represented the end of a stated goal for Acura / HPD..to race in LMP1 and to take on the big LMP1 diesels of Audi and Peugeot. Acura created two of these LMP1 cars during the 2009 ALMS season, one ran by de Ferran Motorsports and the other, pictured above, by Patrón Highcroft Racing. Of particular note, in Acura’s attempt to get more mechanical grip to compete with the diesels, they had 4 rear tires put on each corner. Big ‘ol 14.5″ x 18″ BBS wheels. 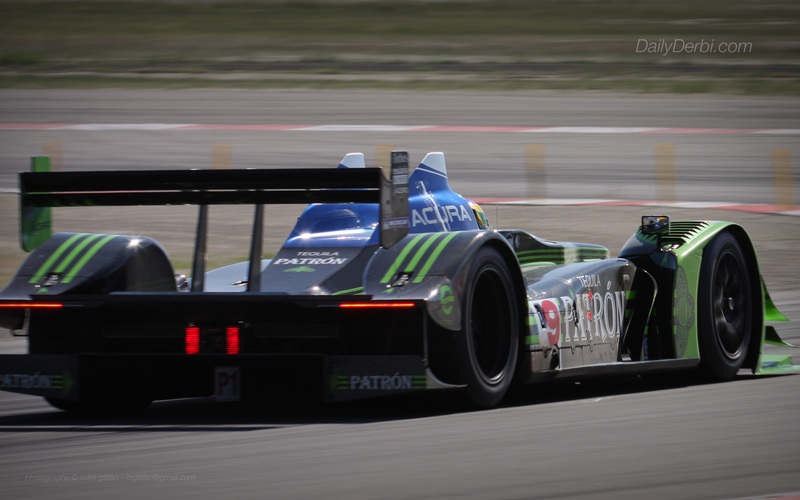 Ultimately, the #9 Patrón Highcroft Acura went on to take the 2009 LMP1 Team Championship, beating out de Ferran. Audi and Peugeot didn’t run a full ALMS season.